THIS CONDO IS THE ONE YOU HAVE BEEN LOOKING FOR.IT IS IN MOVE IN CONDITION. 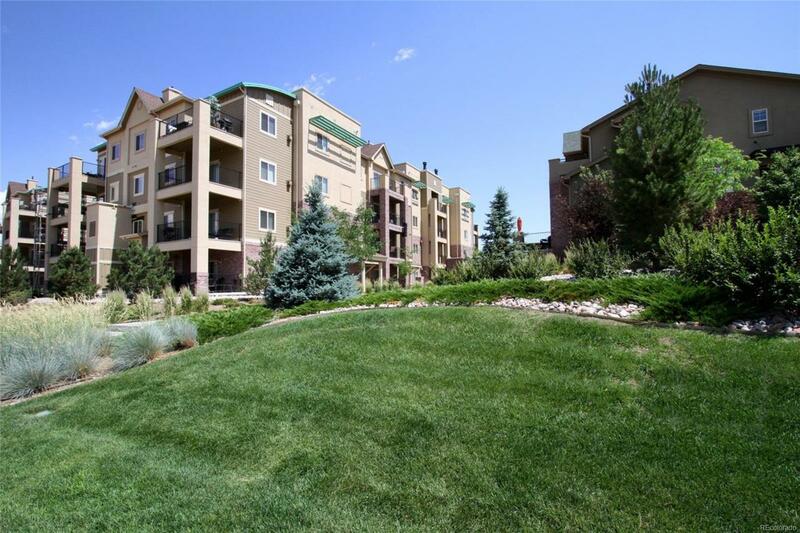 THE LOCATION IS IN HIGHLANDS RANCH,A GREAT PLACE TO LIVE.A 2 BEDROOM, 2 BATH ,IN A SECURE BUILDING. IT IS A CORNER LOCATION WITH A COVERED PATIO. THIS ONE IS CLOSE TO EVERYTHING. ALL THE REC-CENTERS,SHOPPING AND SCHOOLS.RESERVE PARKING SPACE IS P-14,AND STORAGE UNIT IS 5-14. ELEVATOR TO LEVEL G TO ACCESS UNDERGROUND PARKING LEVEL. PRICE LOWERED TO$339,900.,PLUS $2000.00 CARPET ALLOWANCE. NEWLY PAINTED INTERIOR .